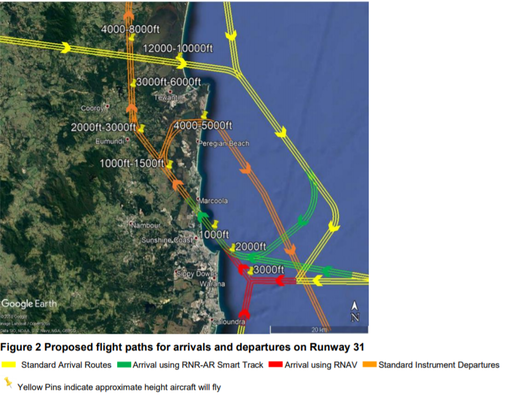 The Noosa Council seems to have heard loud and clear that the Noosa community wants more information on the proposed flight paths for the Sunshine Coast Airport, as there is a report regarding the proposed flight paths changes in Thursday’s (18 April) Council Meeting. This action comes after a petition, that was started by community member Annie Hart, gained 960 signatures, requesting the Noosa Council to help advocate on behalf of the community regarding issues with the proposed flight paths for the Sunshine Coast Airport. Mayor Tony Wellington said Councillors have been briefed by Airservices Australia staff to clarify details on behalf of residents concerned about the proposed flight paths. 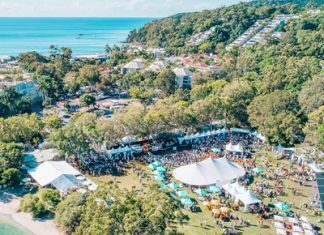 “Noosa Council, as a local government, has no regulatory authority in this issue. However, it is clearly a significant concern for our residents near flight paths,” he said. The Mayor said it was important for residents to get credible information and to make a submission so that all concerns are recorded during the consultation process. “The primary public consultation on this matter by Sunshine Coast Council occurred during 2014 and 2015 in relation to the Environmental Impact Statement. This new consultation results from some minor changes to the flight paths that were proposed in that original EIS process. The main focus is thus likely to be on those changes, not on a complete redesign of all flight paths. The report on the proposed flight paths can be found in the Ordinary Meeting Agenda (April 18) on Council’s website at www.noosa.qld.gov.au/meetings-minutes. The community engagement for the proposed flight paths is being run by Sunshine Coast Council, Sunshine Coast Airport and Airservices Australia. All feedback will be compiled and considered by Airservices Australia in finalising the airspace and flight path design. Submissions close 30 April 2019 and community members can make a submission to Airservices either at a consultation session, or online at https://feedback.emsbk.com/ asa. 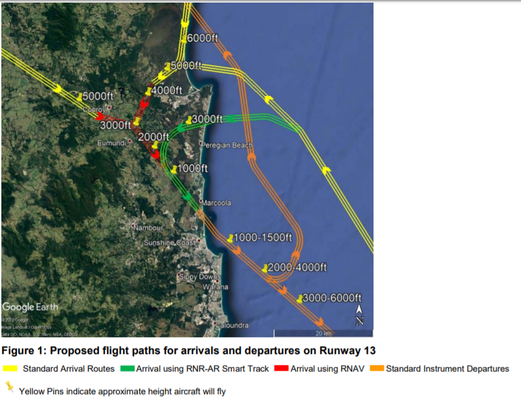 Link to petition on change.org: https://www.change.org/p/noosa-shire-council-noosa-council-we-need-your-help-with-the-proposed-flight-paths-proposal?recruiter=941230894&utm_source=share_petition&utm_medium=copylink&utm_campaign=share_petition&utm_term=share_petition&fbclid=IwAR3-tW03ExG8l41wllScFgolM1bEWru9qwMn5Alpq1_ubgjOMLVT7PAY8Ik.